A few weeks ago I gave a talk at the Museum of Food and Drink in Brooklyn, and during the Q&A period at the end, someone asked the million dollar question: What’s for dinner tonight? Because I’m a faithful follower of the dinner-in-the-morning religion (for the uninitiated: The practice of taking a few seconds to decide what’s on the menu later and thaw or prep a few things accordingly) nine times out of ten, this is an easy question to answer. On this particular day, it just so happened I had a bunch of freezer meatballs thawing. I had baked them on the weekend, popped them in a Ziplock and into the freezer, then transferred them to the refrigerator earlier that day. I couldn’t tell if this piece of information made my stock skyrocket or plummet in her mind. I hope it was the former, because I’ve said it before and I’ll say it again, without store-bought assistance, weeknight dinners (and after school snacks, see above, #growthspurt) would be a disaster. And also: When there are sauces as fresh and beloved as Ooma Tesoro’s out there in the world, it hardly feels like cheating. (Note to Grandmas Turano and Catrino: This does not mean I love you any less.) The stuff is so good, so pure and tomato-y, my daughters eat it straight from the jar with a spoon. We use it on pizzas, pastas, spread on mozzarella sandwiches in the lunch box, as a dip for grilled cheese sandwiches, whirled into white bean soups. And as book owners might have noticed, I’m even completely shameless about using it in my mom’s world-famous (ok, Rosenstrach-famous) lasagna recipe if I don’t have time to make the family marinara. Lucky for us — this got the attention of the nice people at Ooma Tesoro’s, who, as a thank you to me, want to offer a giveaway to you: Three jars of their classic marinara so you can see for yourself what I’m talking about. Just in time for Sunday Dinner, a regular old Tuesday night meatball meal, or a Super Bowl Lasagna, the recipe for which I’ve included below. Leave a comment to be eligible to win; contest ends Sunday 1/29 at noon ET. Good luck! UPDATE: The winner has been chosen. (Congrats Janie!) Thanks to everyone for playing. My mom has never messed around with the traditional béchamel when making lasagna. Her recipe is a strict assembly job, which can be fun for the kids. Add the olive oil to a skillet set over medium heat. Cook the garlic halves cut side down to infuse the oil, about 2 minutes. Remove. Add the onions and cook until wilted, about 2 minutes. Add the spinach, the nutmeg, and salt and pepper to taste, and cook until the spinach is warmed through (or wilted if you’re using fresh). Transfer to a bowl and set on your assembly line. To the same skillet, over medium-high heat, add the sausage, breaking it up into crumbles with a fork, and cook until brown, about 5 minutes. Remove from the skillet to a bowl. Add the bowl to your assembly line. In a medium bowl, stir together the ricotta, egg, 1⁄2 cup of the Parm, and all but about 1⁄4 cup of the mozzarella. Season generously with salt and pepper. Add the bowl to your assembly line. Now, time for the fun part. Scoop about 1⁄2 cup of the marinara into the bottom of a 9 by 13-inch baking dish and “paint” the bottom completely with the back of a spoon. Place lasagna noodles on top, trimming the noodles if you have to in order to cover the sauce completely. Add another layer of sauce on top, then top with sausage crumbles and dollops of both the cheese mixture and the spinach mixture, flattening them a bit with your spoon. Repeat with the remaining noodles and toppings, finishing with only a thin layer of sauce, the remaining mozzarella, and the remaining Parm. Cover the dish with foil and bake for 40 minutes, until everything looks bubbly. Remove the foil and bake for another 10 minutes. Allow to cool slightly, which will make it easier to cut. I have to admit that my homemade marinara can be a bit hit or miss. Never awful, but I certainly could use a good jarred variety. I’m a busy woman and most of the time I rely on jar sauce. I’d love to try these jarred sauces, after your description. Thank you for your Web site and cookbooks. Our family loves so many of your recipes. Please keep writing! Thank you so much!! Not sold in NJ! : ( I’d love to win. I’ve been using the Silver Palate jarred sauce lately. Will be interested to try this one. Free sauce or not this recipe looks delicious and like the perfect thing to have on hand for weeknight meals. Maybe mashed white beans in the ricotta mixture for extra protein? I might try it! Thank you! Yum! I just went to their website and it’s not available in my area, but I’d love to try it (and order online in the future if it’s that good!). I can’t wait to try this sauce! I will look for this sauce, sounds delish! I have yet to find a jarred marinara sauce that is worth using. I look forward to trying this one to see if this is it! Did somebody say homemade meatball subs? Yes please. I’d love to try it. Thanks! I use Wegman’s store brand jarred sauce with frozen ravioli or just spaghetti for a quick dinner. I have yet to find a jarred sauce to get excited about–would love to try this! I would love to try this sauce. They don’t sell it in Georgia so would love to win some!!! I just made lasagne last night. I haven’t seen this sauce, will have to be on the look out for it. So glad I will be done my Whole 30 in time for Superbowl Lasagna! Sounds awesome! Happy to learn about a scrumptious jarred sauce!!! I used to have a favorite jarred sauce but then it disappeared, I’m guessing the little company went out of business. Excited to have something new to try ! I love that your books and blog inspire me to cook while giving me permission to go easy on myself. Your books have replaced the ones I taught myself to cook with as my most-loved. Yum! I love a good red sauce, I love the Penzeys recipe. I would love to find a good sauce to have in the pantry! 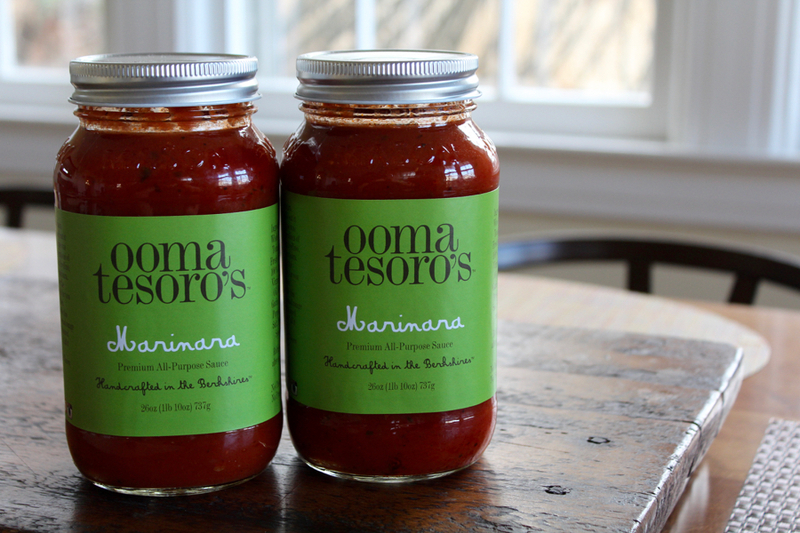 I haven’t found a jarred marinara that I love so I would be thrilled to give Ooma Tesoro’s a try! I’ve never seen this brand locally. I too usually just make my own as jar varieties taste too sweet to me. Love this post and would love to try the sauce! I will look for this sauce! Your recommendation is huge! I’m obsessed with that salad dressing from whole foods you posted eons ago…. Ooooo! I have never had this sauce. I would love to try it! Yum! Sausage in the recipe sounds great. I need to try this. Can’t believe this is the first time I’m seeing this sauce! Curious to try and see how it stacks up with my beloved Rao’s (when I can afford it). Yumm. I love everything about this post. I’m adding this lasagna to our Super Bowl menu! And I definitely need to try that sauce! Thanks! Eager to try this marinara. Thanks for sharing your recipe – it looks delicious. And hooray for prize sauce! Pick me!!!! I want to try the sauce. Love the site, will try the lasagna! I’ve never heard of this brand before, but if you’re recommending it this strongly, I’ll look for it in my local market! Looks delicious! Would love to try this sauce! The color of this sauce is incredible! Would love to try it. This is very coincidental timing as I’m preparing to make your Great Grandma Turano’s Meatballs and sauce for dinner tonight. Would love to try a sample of Ooma Tesoro’s! I’ve never heard of this sauce…and I’m a Tesoro, which by the way, is Italian for treasure. I’d love to try it and compare to my own momma Tesoro’s sauce. I’d love to try it. It’s not available in my market, but looks like it’s available on Amazon. Always willing to try new spaghetti sauces. Thanks. I hope this sauce is in my area. Would certainly like to try it. I would love to try this sauce! Yum! The sauce looks delicious! What white bean soup would you whirl this into? From scratch is a beautiful thing, but thank goodness we have the option to cut a corner once in a while. I always appreciate your candor, Jenny! I’m always on the lookout for a good jarred sauce! I’ll have to keep an eye out for it in stores. I can’t wait to try your lasagna recipe – lasagna is my husbands all time favorite dinner! We had spaghetti and meatballs last night and I had nooooo problem using jarred sauce. I would love to try this one and see if it would kick things up. The sauce looks delicious. And it’s not available in NJ. Will have to find a way to give it a try. I’m so excited to see this post, I’ve been looking for a good jarred sauce. I usually need it most for pizza night. It just gets so busy cooking up all the toppings and getting the dough made etc that the sauce is something I’m willing to use a jar. I haven’t seen this brand anywhere here, I’ll be on the lookout now. I’d love to try this sauce. I don’t think it’s available in my part of California yet. I can’t wait to try it (whether I win or not)! 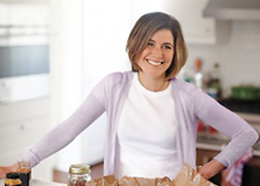 Quality pre-made foods are the key to weeknight survival – and great for weekends that feel busier than a work day! Yum!!!! I wanna try it!!! I would love to try this sauce. I am a recent follower of your blog and cookbooks and have found so many things I’ve already tried and loved (your Greek chicken soup!) and so many on my list! This lasagna and jar sauce look amazing! I don’t see the sauce at store near me but would love to try it. Lasagna is my favorite – I always picked it for my birthday meal! Looks good to me! I’d love to try it. Ooh! Ooma’s isn’t available in my area, so I’d love to give it a try before taking the plunge and purchasing online. Fingers crossed! I’ll be on the lookout for this sauce, it sounds delicious! I have to admit, i’ll make my own pasta noodles of lasagna, but then use jarred sauce…only b/c i’m too exhausted after rolling out dough!! Would love to try this jarred sauce! Would love to try this! So far the best I have tried is Rao’s but I have never heard of Ooma’s before! Would love to try on meatballs for a quick weeknight supper. Always on the hunt for good marinara (especially with no sugar added) when I don’t have time to make my own! Both sauce and recipe sound amazing! This sauce sounds great. Thanks for the opportunity to try to win some. I would love to try Ooma Tesoro’s sauce. Please count me in for the chance to win some of their sauce. Our family also tries to cook from scratch on a regular basis, but we appreciate the occasional shortcut, such as jarred marinara sauce! Thank you for sharing your tips and recipes on the blog. I’m a longtime DALS follower. Would love to try this sauce! My husband makes big batches of sauce to keep in the freezer, but this sauce sounds too good to pass up! Thanks for the giveaway! Your mom’s lasagna recipe looks delicious. I use Rao’s jarred sauce so I’d love to see if this is just as tasty! I’d like the chance to try this sauce! I would love to win this sauce and use it on a lasagna for Sunday dinner. After years of trying to get my kids to eat lasagna they finally love it. How did I get them to love it? They help make it! I would love to try this and add a new quick item to the dinner rotation! Always happy to try a new shortcut! I skew 80/20 homemade marinara versus jarred but moreso due to lack of a proper jar. Would love to try out Ooma Tesoro’s! My almost three-year-old has just decided he likes tomato sauce on his pasta, so I’d love to win some of this for all of us! The marinara sauce sounds delicious–I’d love to try it! We’re always on the hunt for a good jarred sauce! Would love to try this one! Jenny! I live locally…and have never seen this before. Where do you (usually) find it? I looked on their site but it looks like I’d need to go to NYC? Thanks! I would love to try this sauce! Pasta is an absolute standby at our house, but I have found it so difficult to find a sauce we all love. Most have been too fake-tasting and watery. I want something that can stand up without too much additional doctoring. I would love to try some new jarred sauce! I’m pretty Prego loyal these days but I know there are better ones out there. I am forever hunting a good, affordable jarred marinara to keep on hand. Sadly, Trader Joe’s leaves something to be desired. I’d love to try this one! Your site has transformed my cooking –and my sister’s! Thanks! I have been looking for the jar that will absolve me from making my scratch sauce. Excited to try and appreciate your short cut tips – especially flattened zip locs in the freezer and homemade salad dressing. Please include me in the drawing – this will be the next one to try! pasta & meatballs suddenly sounds perfect for dinner! I’m always on the hunt for a good jarred sauce. I’ll have to look for this brand next time I shop! Yum! Good quality jarred marinara is such a time saver for getting healthy meals on the table fast! I’d love to give this a shot! Yum! Would love to try this sauce – and your lasagna recipe! Thanks! We often use jarred sauce and our girls love it – would love to try this one! Thanks! Heh, what I do a lot, standing up over the sink, of course! Thanks for always keeping it real Jenny! I love a good jar Marinara. YUM! I’d love to try it! Thank you for being real about not always making homemade sauce and viewing store-bought as totally acceptable! I’ve actually been judged for making homemade instead of buying sauce. Women can be silly! We put so much pressure on ourselves and take our own insecurities out on other people. I’m all for doing whatever it takes just to EAT – takeout, storebought, homemade, whatever! We use a good amount of jarred marinara in our house. We tend to purchase Rao’s, but I’ll be keeping my eye out for this brand now! Super Bowl lasagna sounds like a great idea! Sounds amazing! I definitely would like to try this sauce. I would love to try a new jarred marinara. There are some good ones out there, but to find a favorite would be wonderful! I find most supermarket jarred sauces too sweet with added sugar, so my quick answer to a weeknight pasta sauce is a 28 oz. jar of San Marzano or plum tomatoes cooked with sauteed onions, garlic, salt and oregano, then pureed with an immersion blender. If I start the sauce first it only takes about 10 minutes longer than the pasta. Your description of the marinara sounds exactly like what I’m after – pure, tomato-y goodness! Ooh ooh ooh! I’d love to try that sauce! I’m always on the hunt for a jarred sauce that is worthy! Can’t wait to try this one! my MIL makes sugu (homemade sauce) but i do not. i’d love to find something that would be as authentic as hers! thanks for the opportunity to win, especially since i haven’t seen this brand here in GA. I always love finding new store bought options for when I am in a pinch! I typically use Rao’s, but would love to try Ooma Tesoro’s! I’ve been known to use frozen, store bought meatballs! No shame in using jarred sauce as long as you know how to make a good homemade one. Cannot wait to try this one. I’m with you! Homemade is great, but sometimes fast and easy is exactly what’s called for – no shame in that! The sauce sounds so good! Don’t have to tell me twice! Having a few VERY easy things around is so critical to making food happen in the trenches. I am always interested to hear about great, new products out there. Thanks! Two kids under 4 – I need that sauce! The sauce makes the dish! Perhaps my search for the best jarred tomato sauce ends here! It sounds delicious! I’d love to give it a try. I love any meal that has both home-made and quick involved, especially when ‘quick’ is really excellent pre-made. meatballs are also a recent discovery for me of make-ahead food, thanks to DALS, the book! I’m currently a Rao’s girl so I can’t wait to try this new brand! Trader Joe’s Tuscano Marinara (in a can) is our house sauce. If I’m feeling fancy I tip a bit of my “chopping glass” of wine into it. Love shortcuts! Thanks for the tip on a great tasting one! Always looking for a good jarred sauce! Jarred marinara saves weeknight dinners over and over again. Just last night we used some to make mini naan bread pizzas! Pretty pretty please with some parmesan on top? We have a war in our household with my husband advocating for sanity in the form of jarred sauce, and me resisting because they just taste like sour tomatoes + sugar in a horrible mashup. So vast swathes of dishes are left out of our reach most of the time. If you’ve found a way out of this mess, I need to know it. While you’re at it, does TJs sell any sandwich bread you approve of? I’ve struck out on every kind I’ve tried so far. Confession: I have never made marinara from scratch. Oddly enough, this blog post encouraged me to do so one day soon! We make sauce in the summer and use jarred sauce when that runs out. I haven’t tried this kind, sounds great. Ooma Tesoro’s is hands down the best sauce I have ever had. I served it to my Italian mother and she even agreed. It’s really that good. And I love that it’s purchase supports artisanal and local food crafters and a small business. Can’t wait to try it in this recipe. Yum! I would love to try this sauce. Ooh, I’ve never seen this brand! Where do they stock it? I’d love to try it! I pretty much always use jarred sauce, but then my husband is not a big fan of tomatoes, so I’m always looking for a new one that will work for him. I don’t think I’ve ever seen this brand before though. I just thrifted your first book and read it cover to cover in 2 days. Now to get my mitts on the other two! Thanks for the marinara tip (and for the giveaway)! Interested in finding a tasty jarred sauce! I would love to try this sauce. We discovered another sauce (Victoria or Rao’s) via your blog, so I’m sure this sauce is fantastic. Love your site, Jenny! I was reading through your new cookbook in a local bookstore and got a little teary-eyed (in a good way!) while reading one of the passages. Always looking for a good pasta sauce — I’ll have to give this one a try. Thanks for the tip! I would love to try the sauce! I used to make my own pre-kids but nowadays Victoria and Paesano brands are staples for us (I find them at Costco). I feel no guilt or sadness about this, especially since I would rather use a jarred sauce with good ingredients than deal with the whole BPA issue with canned tomatoes. Thanks for keeping dinner an attainable goal! you’ve got me intrigued with such high praise of this sauce! Would love to try it! I totally depend on jarred sauce; we use way too much of it to make it all from scratch. Would love to try the sauce! Where is it made? I love a good jarred marinara! Mmmmmmm lasagna! Been craving spaghetti too! I’ve never seen this sauce before. I wonder if it’s available in Charlotte, NC. I am going to check! When I make red sauce from scratch, I do it the Marcella Hazan way, with butter and an onion; when I buy it, I try to get Rao’s, because that’s our favorite (but $$$!). I would love to try an alternative. I would love to try the sauce! I hope it’s gluten free. Yum! I’d love to try that marinara sauce. Would love the opportunity to make my boyfriend think I made sauce myself on a weeknight…. Looks good! Would love to try it. It would be so nice to have a jarred sauce to like! I’ve never been completely happy with anything I’ve tried. I would love to try this sauce! I’m always on the lookout for something better…I use at least one jar a week! Lasagna sounds good. Very similar to what I tend to make. Would love to try the marinara you recommend. I rarely make my own marinara. I usually just buy Ragu! Gasp! Maybe it’s time I class it up a bit! I’m always looking for a good jarred sauce! Homemade sauce is wonderful, but it’s hard to do when it’s an hour past dinner time and my daughter is hungry (and me too;) Thanks for the giveaway! Yum–my mouth is watering already! Ohhh. I’d love to upgrade my go-to marinara with this! Yum! I will be looking for this sauce! This sounds delicious! I’d love to try this one of these busy week nights in my single-working-girl home (channeling Mary Tyler Moore tonight). Thanks for the new one to try! I will be looking at my local Publix and Whole Foods – wish me luck!! Monday is pasta night at our house, and this would be a welcome addition! Oooh this is one I’d actually really like to win. I’m a total marinara sauce snob and would love to find one that can substitute for homemade in a pinch!! So glad to know that you incorporate high-quality storebought ingredients into your cooking. We working moms have to be smart about how we spend our time, and we’ve got to sleep sometime! Can’t wait to try the lasagna recipe! I’ll be on the lookout for this sauce! I would LOVE to try this sauce in this eggplant parmesan recipe I CANNOT get enough of! Jar tomato sauce is a lifesaver! I would love to try this. I’ll have to look in the grocery store next time. I’d love to try this sauce! Thanks for the giveaway! Whenever I make your meatballs (so many times that I think it is one of the few things I could make without a recipe in front of me), I make the sauce that goes with it, but use jarred sauce for other things. It’s always good to have a jar of it around. i’d love to try the sauce! my husband is super skeptical of jarred sauces… but maybe for a busy worknight we could add this to the rotation. I use jarred marinara a LOT. It’s just so much quicker on a weeknight. Ooma Tesoro’s is a great sauce. I bought a jar of it at our Whole Foods here in Providence, RI. It was yummy. It compares favorably to Rao’s sauces. I understand it is produced at a converted elementary school building in Cummington, MA where I remember playing basketball for a team from a neighboring western Mass. town. I went back to Whole Foods to buy a couple of jars but it was gone. Bummer! -Dale H.
My Italian mom would be so mad if knew, but I totally use jarred sauce sometimes. I’ll have to try this! I usually use Raos! I bought rao’s sauce at your recommendation so I know this will be good if you love it! Hi Jenny. Love your newest book, but I truly love ALL of your books! 🙂 Thanks for the Giveaway. I’d love to try Ooma Tesoro’s sauce! My Super Bowl party would love this — looks similar to my mom’s famous lasagne! Thanks. Yes please! Always looking for something quick on swim team practice nights! Our family favorite jarred sauce used to come from bjs! They no longer carry it and I’ve been searching ever since for a new family favorite. Maybe this is it? Looks delicious! I haven’t found a good jarred sauce – I’ll keep a look out for this! So glad to hear about a scrumptious jarred sauce!!! I’ve been looking for a new go to sauce. Would love to try it! Mmmmm – love lasagna! This sauce sounds incredible! I would love to find a good jarred sauce! Haven’t found one in 33 years of looking and with our second kid due beginning of March this would be a lifesaver! Love the sausage & spinach in the lasagna-nice change from a basic (ground beef) meat sauce. I’ve always used Prego, but I would love to try this! Mm mm love good jarred sauce…. Would make quick chicken parm with this, or healthy spaghetti squash with meatballs for me and whole wheat pasta for the kids! I love that marina recipe with butter and onions simmered with the tomatoes but it is super rich. I’d like to taste your favorite marinara as perhaps it is a bit easier on the waistline:)? I have a newborn at home, so jarred sauce will be the only sauce for a bit! I saw this brand at the grocery store on Sunday. I’ll have to pick some up. A jar of pasta sauce in the pantry is my weeknight savior! I’d like to try it! Not available in my area. You need a picture of the lasagne! Love this. I’ve found a great place in Thornwood – Trotta Pasta – where you can buy sheets of fresh pasta that fit very nicely into our pan. Dealing with strips of lasagna noodles had made me never want to deal with lasagna before but for anyone with a place nearby that makes fresh pasta: this is a great solution and tastes better than anything you can buy in a box. I LOVE tomato sauce, am OBSESSED in fact and if you say this is good, I’m in! Raos is my go-to in a pinch. During the late summer and early fall when tomatoes are plentiful, I will make batches of roasted tomato sauce that I will freeze to use in the depths of winter. If I forget to thaw one or when we run out, its usually jarred as I never make marinara on the fly or any other time of year. I’ve tried Rao’s which was good but would love to try this one! And I just saw someone’s comment that it’s not sold in NJ! Thanks for the tip. Just ordered some directly from their website – free shipping! Would love to try a jar – not sure it is available in my area! Pick me, pick me! I’m thinking meatballs and this sauce will be the perfect preface to our next It’s Wednesday Cake! Can’t wait to try this lasagna and looking to work a new jarred sauce into our dinner rotation! Been in a bit of a jarred sauce rut as of late. I don’t think less of you for jarred sauce! I use it for making meatball tajines. it gives me the shivers to remember my sauce-from-a-jar college days. but i’m willing to take a chance. Love that it doesn’t have added sugar. Would like to see it in stores in DC! Baby #2 is arriving shortly so this is a great reminder to make some lasagna for the freezer. I’m definitely not above using jarred sauces! This sauce looks and sounds amazing! Love a good jarred sauce! I’ve never heard of this brand before- would love to give it a try! There’s a place in my kitchen for homemade and for jarred. Such is life! There is nothing I love more than any iteration of tomato with cheese. I’m always trying new sauces! I would love to try these out! We have a friend that makes fresh pasta locally, and it’s so fantastic that I’m really, really picky about the sauces that we pair with it! This past year I’ve been trying to be better at making my own enchilada sauce and marinara but with three kids, sometimes it’s going to come from a jar…Would love to try this! I have to admit, I don’t typically do a homemade marinara. Bolognese – yes. Alfredo – yes. But not marinara. I’ll have to get on that. While homemade sauce sounds amazing, as a working mom, not always an option! Always looking for new good sauces! I love making homemade marinara but often don’t have time, so very happy to have this recommendation! I hope it is sold in more stores in Massachusetts (Boston-area) soon! I too have no problem with quality jarred sauce when we run out of our homemade stock! The only thing I look for is the sugar/sodium content. A really good jarred sauce shouldn’t have ridiculously high levels of these and I feel good about serving it to my kids. I’d love to try some Ooma’s! Everyone needs jarred marinara in their life, I don’t care who you are! We have lasagna every Christmas. My parents have suggested switching it up the last few years and with phrases like ” there will be mutiny”, “how will Santa find us?” and “Baby Jesus wants us to have lasagna” being thrown around, they’ve opted to keep lasagna as a tradition. I would love to try this sauce! Love Rao’s but always looking for new one! Also – tried to click over to their web page but the link you provided doesn’t seem to be working. Thank you for the giveaway option. It makes it a lot easier to try something new. I was just thinking of making lasagna! Will def try this recipe. And more often than not, I use a jarred sauce. Thanks for the tip about Ooma’s. Love DALS! Would love to that brand of jarred sauce! Oooh I’ve never tried this brand before! There’s no shame in jarred sauce, so many good options available now. You’ve inspired me to prep and freeze some meatballs this weekend! I’ve always been a fan of Rao’s but I’m delighted to try something new! My parents are from Italy and my mom would be horrified to find out that I sometimes use jarred tomato sauce. With a full time job, it’s either that or take out. I’m always on the lookout for good brands. Yum. I find I go through phases of making my own sauce or buying jarred, depending on how old my kids are. Lately I’ve been making the Marcella Hazan sauce with butter and onion; but with my youngest just becoming mobile, I think we’re moving back toward jarred sauce. Thanks so much for such an inspiring website! The lasagna is going on next week’s dinner lineup. This jarred marinara looks delicious! Would love to try some. Thanks for the tip – I swear by the “make it when I can and don’t stress when I can’t” approach to dinner. Otherwise it would all be too much! I checked the website and now know that I can buy this near me. Would love to try this marinara! I often check out your recommendations – would love to try this one! Never heard of this brand, but I’m eager to try it! I would love to try this sauce – wonder if they sell it out here in Las Vegas? Always happy to try a new jarred sauce! I need to find that brand. I’d love to try that marinara sauce! I’m with you, I typically make homemade but not on weekdays! I want I want! I thought Rao’s was the best, but i’d love to try something new!! I totally agree about Ooma Tesoro’s jarred sauce. I stumbled on it at the Wayland Winter Farmer’s Market a couple of years ago and have been buying it ever since. It’s now the only brand I use. I don’t even bother trying other brands any more. Super Bowl lasagna?!! Yes, I’ll bite. If we’re having pasta for dinner, that usually means I need a quick and easy meal. Thus, jarred sauce is a no-brainer! Would love to give this one a try. Jarred sauce can be very useful! I have a trick for making it taste more like homemade that I will share here. Brown some ground beef or sausage (I haven’t found a jarred sauce with meat that I like) and after the meat is browned, add a glassful of red wine and cook until the liquid is gone — then add the jarred sauce and heat through. I’d love to win some sauce! We use oodles and I’d love to try your recommendation! I’m always open to a store bought option when time is just not there!! I’d love to try. Jarred sauce is a meal planning lifesaver! Yum! Lasagna! I’ve been needing to try to make one. We like Molly of Orangette’s easy tomato sauce recipe. I’ve recently used the immersion blender after cooking it to make a smooth and thick sauce for our spaghetti and meatballs. Thanks for sharing a good jarred tomato/marinara sauce. I’d love to try it. I have tried and tried and tried sauce from a jar and STILL have NOT found one that is as rich and flavorful as what I’m looking for. Maybe, just maybe, Ooma Tesoro’s will be THE ONE!!!! Fingers crossed! Yum! Would love to make this soon! If you can eat it straight from the jar, it is a winner. My husband and I don’t agree on jarred tomato sauces- he likes smooth pureed sweet ones and I like chunkier less sweet sauces. I’d like to try these to see if we could find some common ground. Delicious! After a January diet reboot sans gluten. I will gladly be adding lasagna back to the menu planning! I love a jarred sauce! We have a sauce disagreement in my house. Maybe this is the answer! Nothing beats my mom’s tomato sauce but I also love a store bought time saver! Love it! Whatever gets dinner on the table! I love my grandmas sauce, but there is no shame in jarred! I need a good jarred sauce, would love to win! This sauce sounds delicious! I would love to try it! Would like to try this sauce. Have not seen it in my local stores. Will check on line to see if I can get locally. I just made Grandma Turino’s sauce and meatballs tonight! 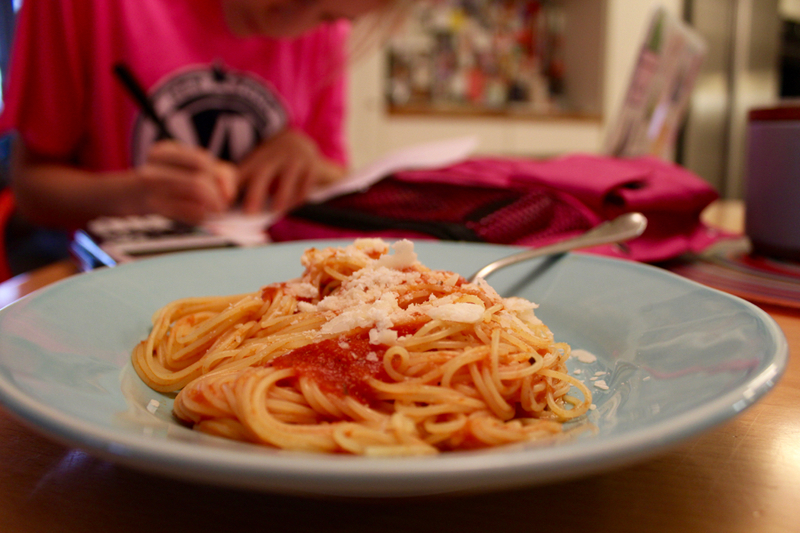 Always pasta the night before a track meet…and I came home early enough (for once) not to use jarred sauce. Thanks, Grandma T! Would love to try that marinara! I use Pomi strained tomatoes. Pomi is very fresh tasting. What could be more comforting than lasagna in this winter of my discontent? I’d love to try these! My family goes through one or two jars of marinara a week and it would be nice to have an upgrade from Aldi sometimes! Looks absolutely delicious! I’m a college student who reads your blog religiously for simple-yummy-quick meal inspiration, and jarred tomato sauce is right up my alley! Would love to try this! Send some to Kansas! Would love to try this sauce! Sounds amazing! Well, since I probably never would’ve given it a try without some kind of recommendation, I’d be happy to give it a go on your say-so! If you say it’s good, I want to try it! I usually buy Rao’s Marinara and eat it straight out of the jar too! Always on the hunt for a jarred tomato sauce that tastes just as good as homemade! I love lasagna so much I might be Garfield 🙂 I am so curious about ooma tesoro’s because a good marinara is worth all the gold in Fort Knox. I’d love to enter the sauce contest. 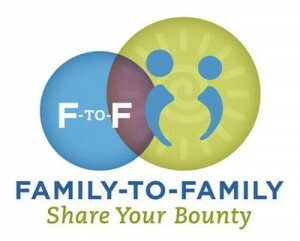 Your blog is my number one source for meal time and family inspiration. Shout out to my baby sister Heather who gave me the “Make Dinner Not War” bumper sticker in my stocking years ago getting me started on DALS lifestyle! Oh I would love to try this sauce! I haven’t seen this brand, and I’d love to have a chance to try it! I’ll be looking for this sauce at my local market! This looks yummy!!! I always like to have a good jarred marinara sauce in the pantry for those nights that making it from scratch just isn’t happening. Oh yum! I’m always on the lookout for good store bought sauces. I love a good jarred marinara, but I’ve never tried Ooma Tesoro! I’ll have to give it a try! I would LOVE to find a good jarred marinara for my pasta-loving 5-year-old! 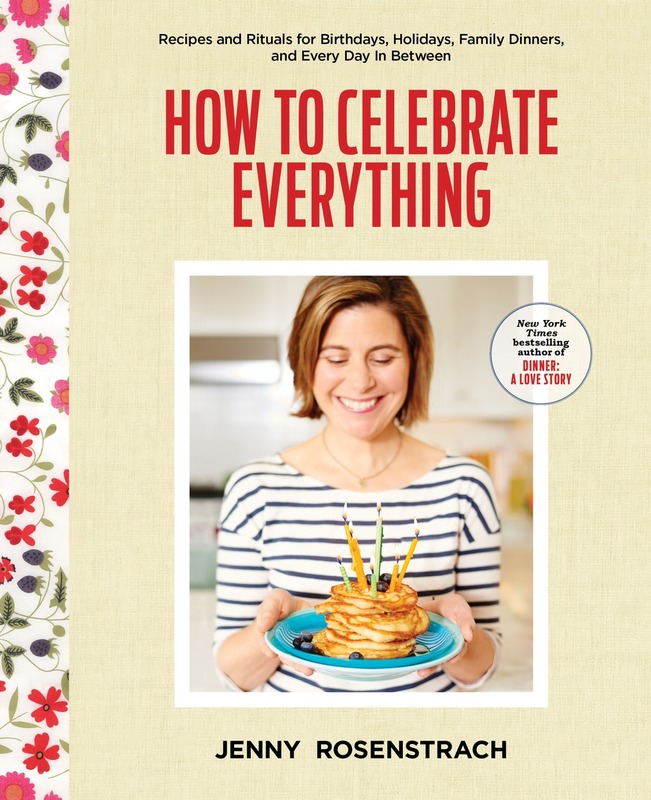 Thank you for all the great recipes… love the website and your book! Would love to win the sauce thank you for the giveaway! I confess to jarred sauce…and Im ok with it. If everything had to be from scratch (#growthspurt at our house as well) I think I might lose my mind. Hi Millie, this is Robin from Ooma Tesoro’s chiming in to say that we do not add any sugar. There are 6 grams of sugar that come from the whole plum tomatoes and sweet onions. We don’t add any preservative. Thanks! The thought of lasagna is making my mouth water–yum! Yum! I have been looking for a great jarred pasta sauce for easy week night meals. I would love to try that marinara sauce! I’ve never found a packaged product that tasted as good as homemade and have honestly given up trying. Of course this brand isn’t even sold in my state (MI), but I just saw that they ship for free – ?! – so even if I’m not a winner, I’m definitely going to give them a try. Thanks for the tip! Would love to try the marinara – as a soon to be mom of three, I’m collecting all the dinner tricks I can! I enjoy reading everything you publish. I love your website so much! Thank you for the much needed permission to take delicious shortcuts as much or little as needed. I have used SO MANY of your recipes for dinners for my family. Thank you!! I would love to try the marinara! Thanks. I’m working my way through your cookbook, and everything has been so delicious! Appreciate the recommendation for a delicious jarred sauce for quick weeknight meals. I too believe jarred is good on a quick night when you are exhausted. I tend to add some extra flavor by throwing in some garlic and red pepper flakes, but would love to try a sauce so good it doesn’t need any extra prep. I live in a rural area so a lovely, well made, jarred marinara would be a simple, albeit odd, treat!! Wow that recipe looks so delicious! There is no shame in jarred sauce, rock on! I’m always on the lookout for good jarred sauce. Have been using Vistoria for a bit, it’s ok but would love to try this one. Hope it’s not too late for the contest! If not I’ve got my credit card ready to order! I am TJ lo-salt marinara. Pretty much all the time. I will try this brand though. I think they have it in our local fancy grocery store. I looove lasagna and this looks delish! YUM!! We need Ooma Tesoro’s in South Carolina! How many servings does this make? Is it enough for 6 people? Also, have you tried doubling the recipe?